Misha Glenny is an award-winning writer, broadcaster and sought after keynote speaker. Misha is a specialist on international organised crime and cyber security. 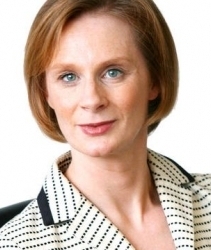 Dido Harding spent seven years as Chief Executive of TalkTalk PLC, Britain’s challenger telecoms company. She oversaw the transformation of the company’s customer service following the demerger from Carphone Warehouse, turning Britain’s most complained about telecoms operator into an award winning provider. She led the regulatory, political and media campaign for greater competition in the sector, leading to the eventual break-up of BT in 2017. She also led TalkTalk through one Britain’s most high-profile cyber attacks, being praised by a Parliamentary Committee for her transparent and strong crisis leadership. Campbell Macpherson is a multi-disciplined, international, senior business advisor with more than 25 years of experience in enabling the design and successful delivery of strategic change, especially within the financial services. Campbell advises organisations worldwide via his consultancy Change & Strategy International. One of our newer speakers, Campbell Macpherson (Change Leadership Expert), has been booked for two leading US financial services conferences. The author of ‘The Change Catalyst: secrets to successful and sustainable business change’ (Wiley 2017) will be a keynote speaker at iPipeline’s upcoming US insurance industry ‘Connections 2018’ conference in Las Vegas and will be conducting his dynamic ‘Power of Change’ workshop at the M&A Advisor’s Distressed Investor Summit in Florida. Change is inevitable; successful change isn’t. Campbell Macpherson (Change Leadership Expert)’s acclaimed book ‘The Change Catalyst: secrets to successful and sustainable business change’ (Wiley 2017) has received an outstanding review from none other than the Deputy Chairman of the Institute of Leadership & Management. “If you are looking for some pacey pages packed with the insight, tools and know-how needed to ensure your next change is the one in eight that succeeds, you’ll do well to pick up this book.” Andrew Sharman, CEO of RMS & ILM Deputy Chairman. 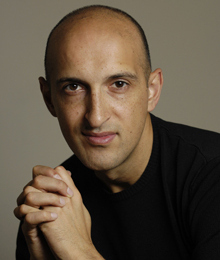 Matthew Syed is a columnist and feature writer for The Times. He writes a column on sport as well as penning reviews, opinion and interviews. He has won numerous prizes for his writing, including Sports Journalist of the Year at the British Press Awards and Sports Feature Writer of the Year at the Sports Journalist Association Awards.